Here at Grumpy Fuckers, we may be grumpy but that doesn’t mean that we’re tight as arseholes. 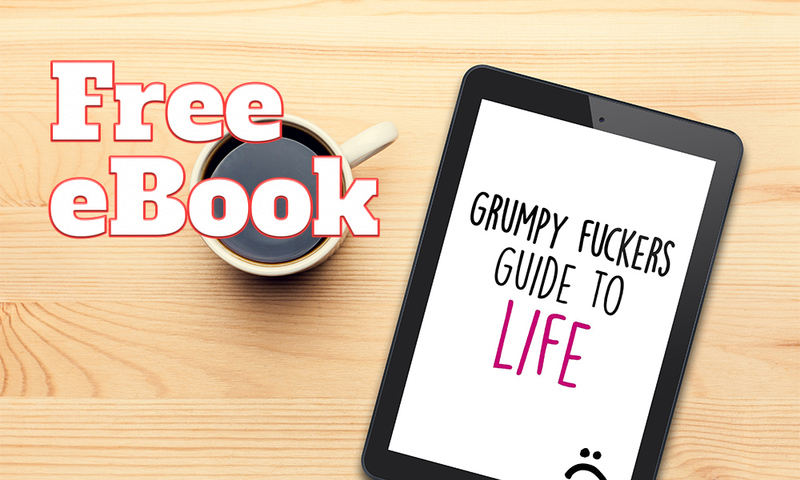 We’ve put together a free ebook titled Grumpy Fuckers Guide To Life. It’s 64 pages of pure grump and all you need to do is pop your email address in the subscribe box below. We won’t go anything with your email address other than send you the book and send you posts when we can be arsed to write them!